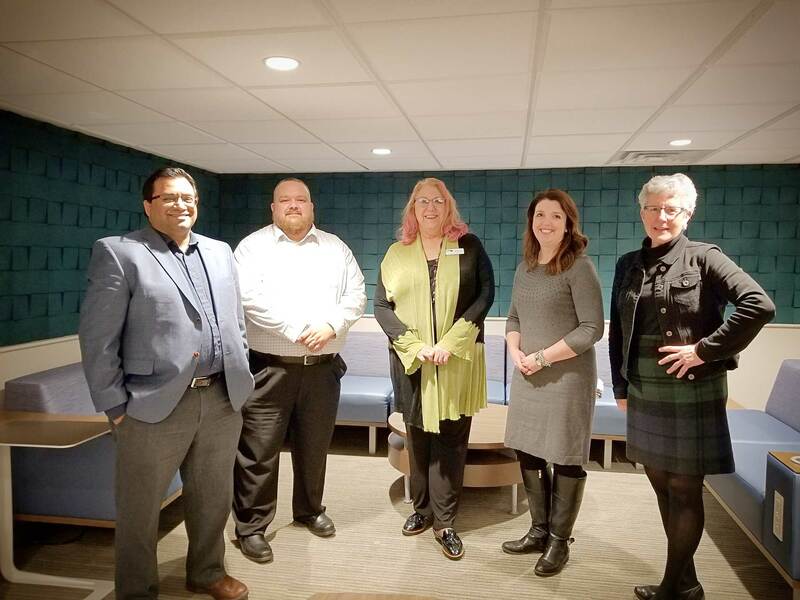 Left to Right: Arijit Banerjee CEO of Consumer51, Keith Gillenwater President/CEO of Grow Wabash County, Beverly Ferry of Living Well in Wabash County, Amanda Lopez President/ Founder of Transform Consulting Group, and Julie Garber Program Director for the Community Foundation of Wabash County. CO.STARTERS for Causes is a social entrepreneurial training program for nonprofits that aims to help organizations become self-sustaining and thrive. People on a mission to make an impact in our community were encouraged to attend this program geared toward helping individuals put ideas into action, turning a passion for bettering the community into a tenable and prosperous endeavor. Graduates from this nine-week program included: Cheryl Working, Daniel's Place; Janet Shoe, FISH Food Pantry; Sherry Searles, Child Care & Early Learning Coalition; Susan Peebles, Somerset Redevelopment Group; Theresa Onderko, Education for Conflict Resolution; Cynthia Johnson, Learn More Center; Rachel Guyer, Little Friends Day Care & Preschool; and Beverly Ferry, Living Well in Wabash County. Participants hard work, dedication, and collaboration throughout the course has helped them further development their support systems and generate ideas to lead each of the their causes closer to success. Course facilitators for this program included: Julie Garber, Program Director for the Community Foundation of Wabash County; Keith Gillenwater, President/CEO of Grow Wabash County; Amanda Lopez, President/ Founder of Transform Consulting Group; and Alan Tio, CEO at Kosciusko Economic Development Corporation. These individuals hold specific knowledge, skill sets, and work experience to provide real world experience and examples. the program. The grand prize winner was Beverly Ferry of Living Well in Wabash County for expansion of services for Wabash County Transit. Living Well in Wabash County has provided transportation for 45 years and has experienced increasing transportation needs. The plan is to add bus stop services blended with door to door service within a fourth mile of the route as requested. The additional route will allow Wabash County Transit to serve more people of all ages and abilities. 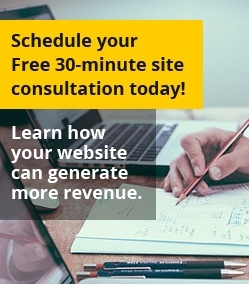 This project received $12,000 worth of digital marketing services from Consumer51 LLC, a privately held consumer-experience company that provides marketing and technology solutions for today's connected world. With clients ranging from local non-profits to government agencies and mom-and-pop stores to large manufacturing companies, Consumer51 is deeply involved in helping the community thrive in today's connected world. Since taking over operations from Visionary Web in 2017, Consumer51 has partnered with Grow Wabash County in helping support the mission and is itself an example of why companies should consider setting up operations in Wabash. Other sponsors who made this program possible included: Cathy’s Natural Market, Community Foundation of Wabash County, Grow Wabash County, Indiana Economic Development Corporation, INGUARD, Kosciusko Economic Development Corporation, and Transform Consulting. The graduates and facilitators are extremely thankful for the support of every sponsor throughout this entire process. Nonprofits interested in signing up for the next CO.STARTERS for Causes program should contact Grow Wabash County at info@growwabashcounty.com or call 260.563.5258. Consumer51 LLC is a privately held consumer-experience company, providing marketing and technology solutions for today's connected world. The company provides a wide range of services including web design, web development, web hosting, domain registration, email management, user experience design, mobile application development, brand identity design, inbound marketing, creative services and consulting to clients ranging from startups to Fortune 50 brands. For more information about Consumer51, visit http://www.consumer51.com.